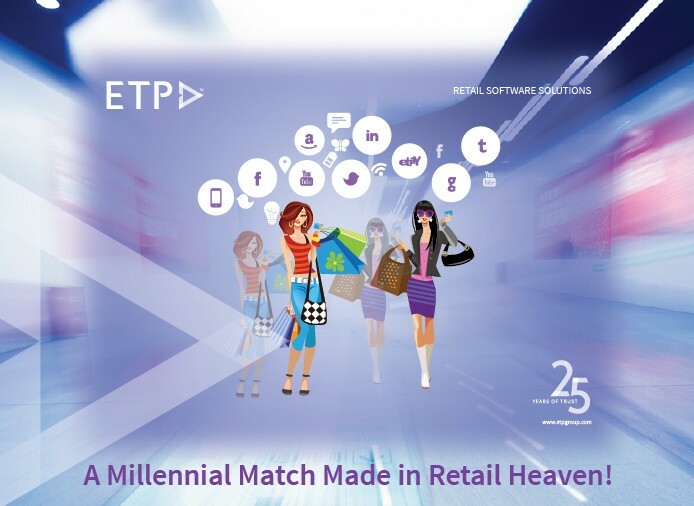 A Millennial Match Made In Retail Heaven! The term ‘Millennial Retail’ seems to gather popularity and confusion in equal parts. Suddenly one finds themselves floating neck deep in ‘quick-fix-home-grown’ millennial solutions which threaten to make necessary relevance rhetorical! But the right retail technology applied through the right business practices can help navigate these choppy waters and turn the tide to one’s advantage, harnessing the industry potential that lies within this world-wide phenomena. Industry experts project one-third of the global retail revenue to be contributed through the millennial generation by Y2020. The good news is, this number will permanently be on an upward trend hereon. But the challenge lies in managing expectations. Millennials expect quick service, this is often the key distinction between a sale and no sale situation. Apparently, patience is not a virtue to hold dearly in the new age. Retailers are beginning to understand that their in-store experience is only as good as the customer wait-time it reduces. Quick Billing and express counters ensure the instant gratification millennials seek. Your POS stations are battle grounds combating the biggest deterrent to your conversion ratios. This means there is no down-time and service continues even in offline mode. A personalized shopping experience has the multi-fold effect possible almost exclusively through millennials. Since they are more open to share information about their preferences and often know exactly what they want, you populate your CRM database with more accurate data. This leads to better promotions and developing key value-add services that make your brand personable and closer to your customers. Also, help spread the love! 19 out 20 millennials (globally) own smartphones and are active on social media. That makes for a lot of first impressions, daily, through multiple networking and information sharing sites. As a group, millennials favor engaging with companies and brands on social media and also prefer receiving hyper targeted content. With sales soaring as a result of positive social media influence, it is no wonder that most marketing budgets today are skewed towards building an omni-channel presence for their organization. So when your customers exit your store, they still carry your brand experience (quite literally) with them, on their smartphones, tablets and laptops. Within the store, the staff uses a similar mobility to lookup customer info, frequency-regency of purchase, buying history like preferred products and payment modes. They now hold the right information to help customers make better choices, deliver value through applicable promotions, up/cross-sell and conclude the transaction from anywhere in the store. Again saving their time and fortifying customer loyalty which induces and influences more people to try your products and services. It is important to note that although the retail market is a dynamic arena, the millennial trend has pushed to permanence certain course correcting measures which were inevitable. They include striking a better balance between demand and supply, optimizing supply with better visibility and control over production, process and people to satisfy and supplement existing demand. A centralized data management system enables you to analyze better, faster and get that much closer to your yearly projections. The necessary operational overhaul, in reality, has led a more enlightened practice and pace of doing business. And you are sure to be the quickest to the draw, with those young guns at your side.